Turbo-machinery design software where users can go from a design duty point to 3D geometry in a few minutes. PumpLinx is a customized 3-D Flow/Cavitation simulation tool for pumps, motors and other fluid dynamics machineries with rotating/sliding components, including: Axial/Centrifugal pumps, Crescent pumps/motors, external gear pumps/motors, gerotor pumps/motors, vane pumps/motors, piston pumps/motors, ring pumps & side channel pumps. 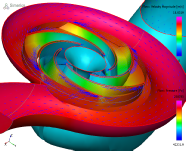 SCORG is the software for the design and analysis of Screw Compressors, Pumps and Motors. 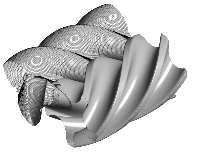 It also offers unique capability to generate numerical meshes for Computational Fluid Dynamics (CFD). Fast and Accurate CFD for a wide range of applications found within the Flow Control Industry. Delivered on the Desktop with affordable entry level configurations. CFD/CAE Support 80/20 Engineering provides fully comprehensive technical support, training and implementation services for all its CFD/CAE tools and solutions.